Chris Brown arrived on our screens in 2006 on MTV and BET. Baby-faced with potential to be the “next Michael Jackson”. He had the dance moves and he had the vocals and he controlled the crowd in a way that the average 16-year-old boy can not. Women of all ages love him, they still do even after the horrific accusations and photos that should disgust anyone. His talent and looks overshadowed the inner demon that has caused for Brown to commit stupendous acts. Every time he is mentioned in the news there seems to be some sort of legal action taken against him. The above statement still holds true. 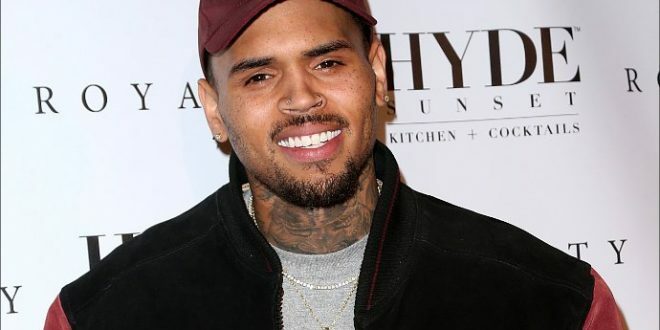 Chris Brown was once universally loved by fans and media. His fall is heartbreaking. Once a future music legend, his music is redundant and often forgettable. Even after serving time and admitting his abuse of drugs and dedication to being a better man, his time in the tabloids has been nauseating. His recent comments about Kehlani’s admittance to having suicidal thoughts are problematic to say the least. The comments added to a public persona of Chris Brown being an all-around enigma. But his most current engagement with the law is not surprising. Those who were shocked by reports of an assault on a woman are few and far between. The “victim” of this case is still up for debate. In the eyes of the majority, Chris Brown has threatened another woman, this time with a deadly weapon. In the eyes of few, Chris Brown is an easy target. With more details being provided about Baylee Curran, there is reasonable doubt about what actually happened. In the heat of the moment Curran could have potentially overstepped her boundaries, and used her presumed innocence to put Brown in more trouble. Or Brown could have threatened her with a gun like Curran is proposing. Curran has appeared in multiple interviews since news of the story broke. Either she really needs to tell her side of the story, or she wants to gain publicity for her brand. By being at Chris Brown’s house, she carefully crafted what would happen next. Taking advantage because people would deem him guilty while she played the role of victim. This has happened plenty of times before where an opportunist took advantage of someone else’s public persona. The problem is that Chris Brown’s image is tarnished beyond repair. His list of legal troubles and comments and actions point to him being susceptible to assaulting a woman in his own home. Brown took to Instagram to plead his innocence and made himself look foolish in the process. Brown’s actions make him guilty till proven innocent. Its sad to see that trouble will follow him forever even when he is innocent. The cops had a “standoff” with him yesterday and drugs and a weapon were detained by the police. But we must look at all the facts here and there is very few at the moment. Other than Curran was in his house a few nights ago and something happened. The rest is harmful speculation that helps no one. We as people must learn to look at all the facts first instead of assuming the worst about someone. Previous The Editorials this Season and How they are Presented! Next Halloween Horror Night 2016 May Seem Far, but Rest Assured, It is Lurking! Busta Rhymes makes a jab at President Trump during the 2017 Grammy Awards. "I want to thank President Agent Orange for your unsuccessful attempt at the Muslim Ban."